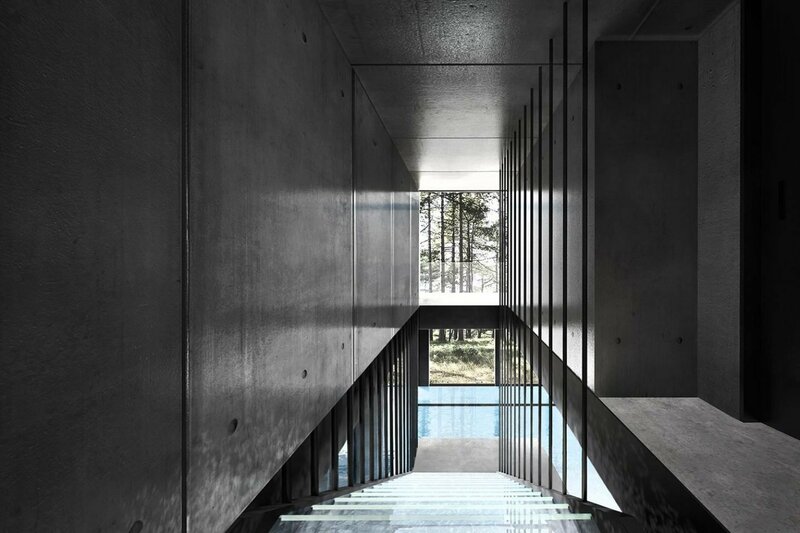 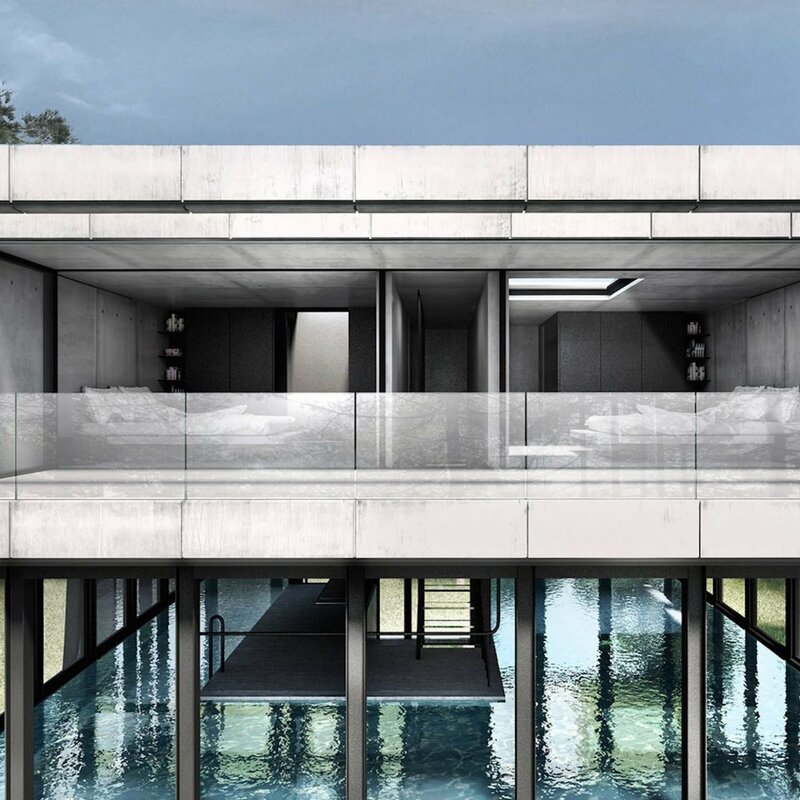 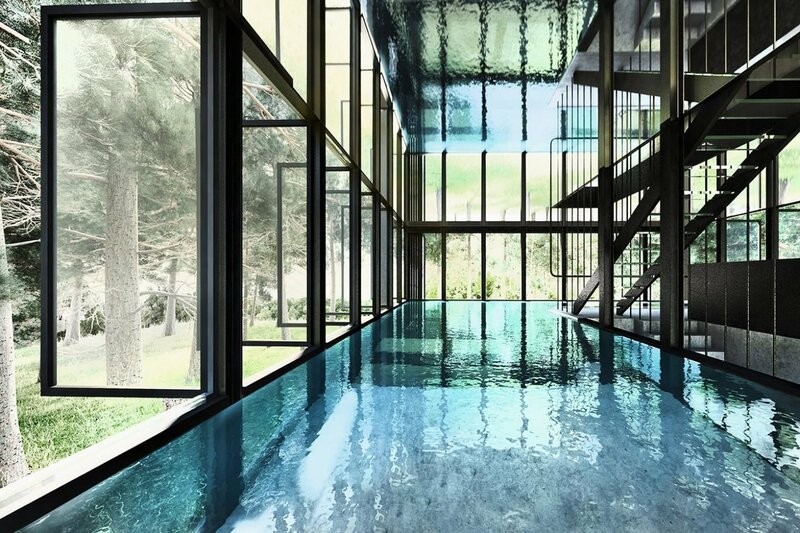 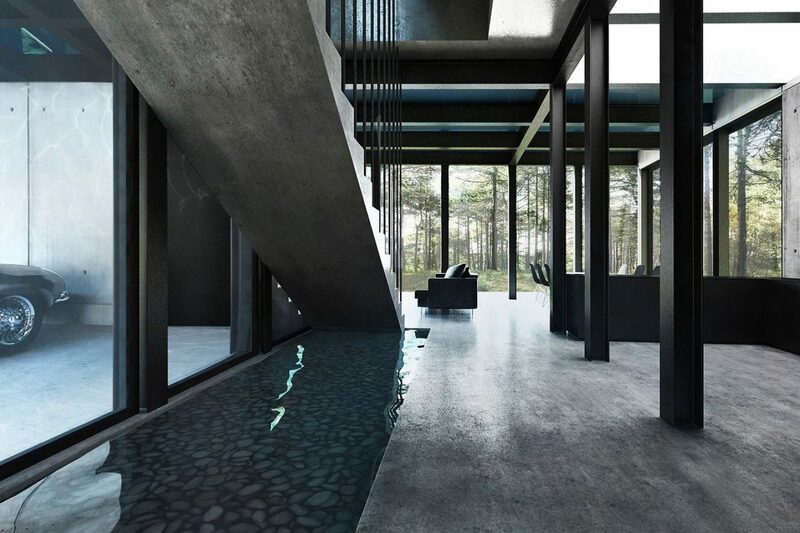 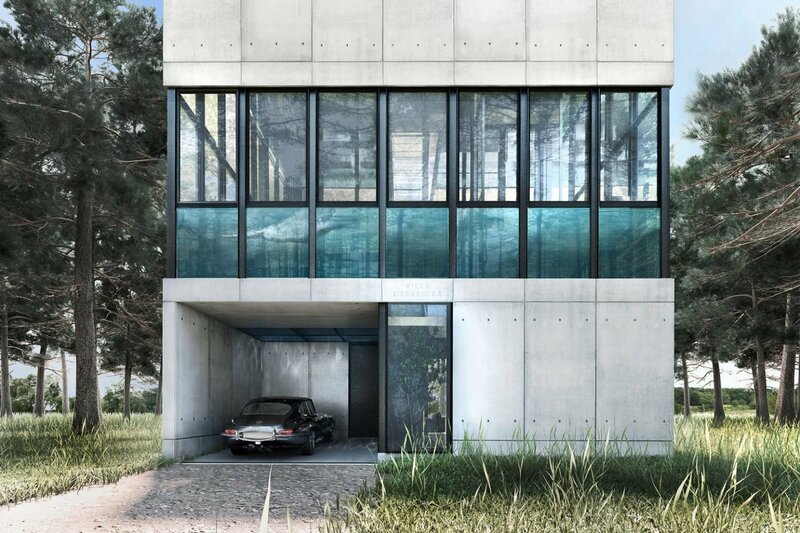 Named ‘Villa Clessidra’, the unique concept home is hypothetically located in a pine forest in the Netherlands, featuring an exceptional interior layout that involves its entire second floor being enlarged to a swimming pool. 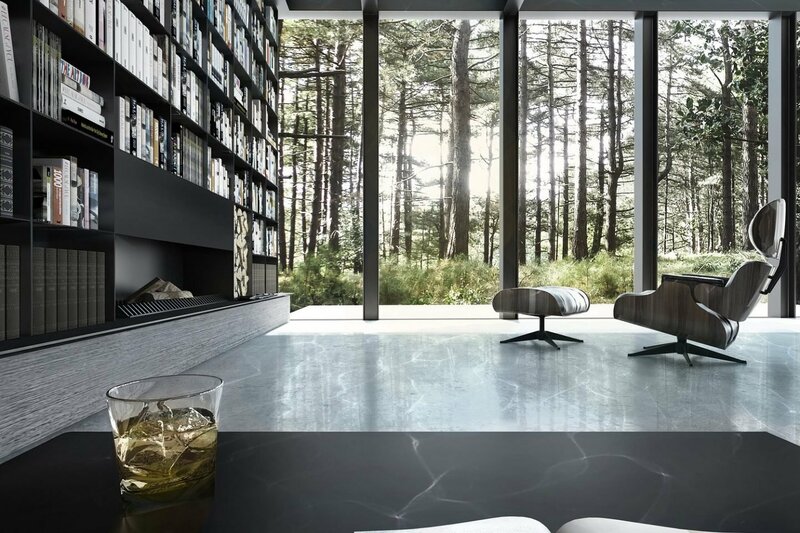 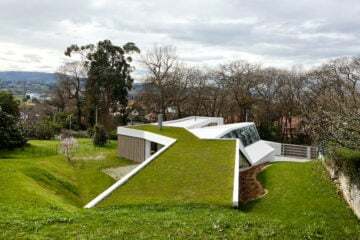 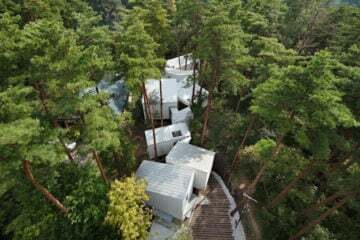 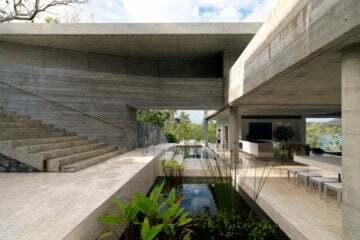 The glass and concrete mansion is a conceptual three-level forest dwelling by LAAV architects, which only exists as an rendered image. 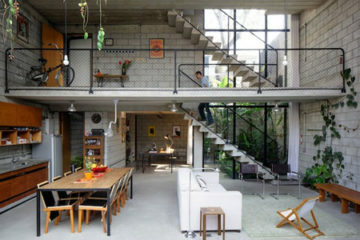 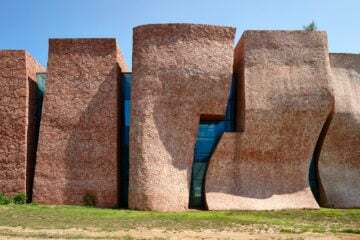 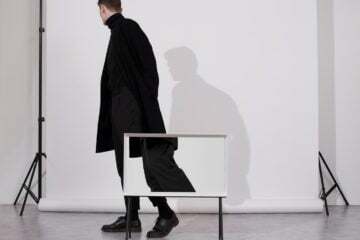 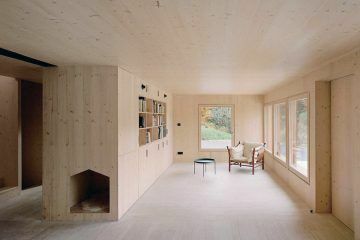 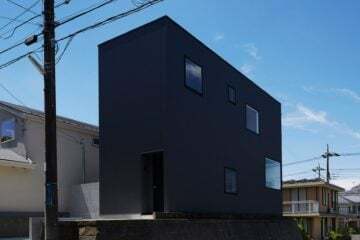 Its cubic scheme of 200 square meters spreads over three floors, providing both architectural freedom and constraints. 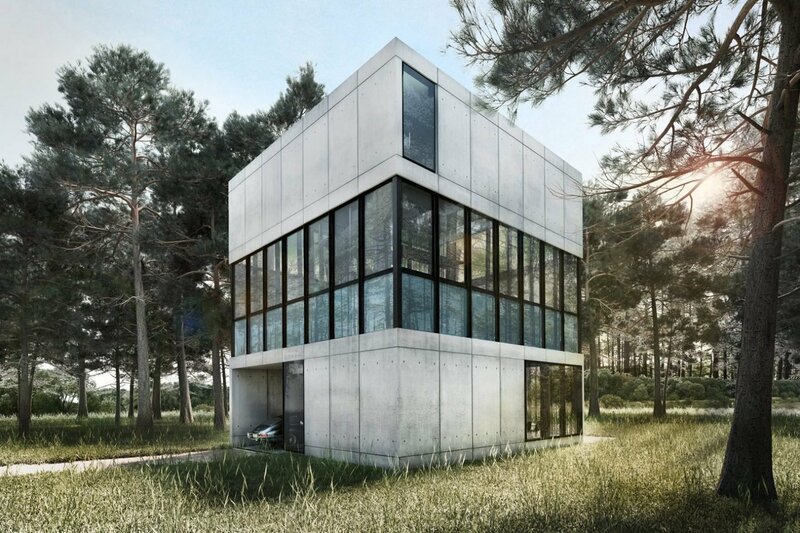 The exterior is built of a steel frame, clad in foam-board molded concrete panels and an expansive glazing. 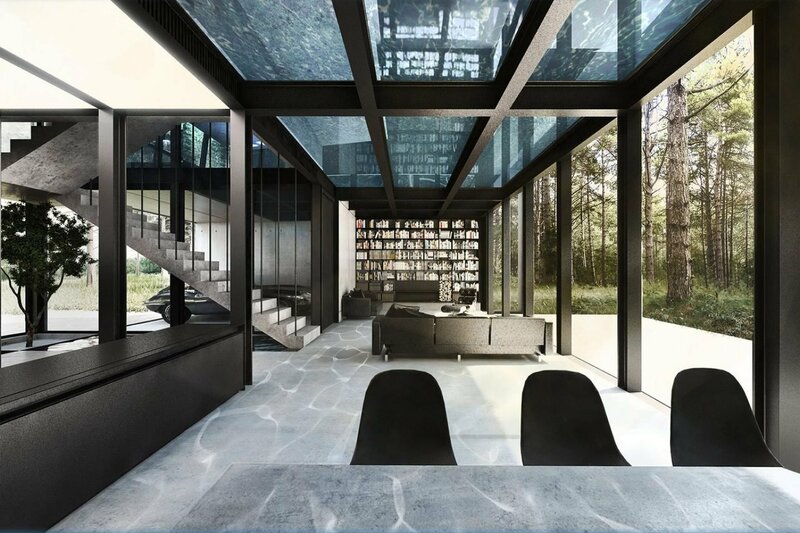 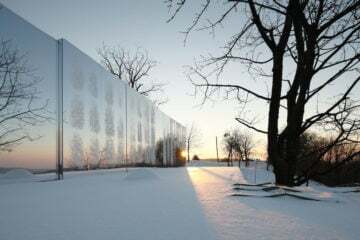 The element of nature invades the house through its south-facing glazed facade which is movable and could be slid completely open. 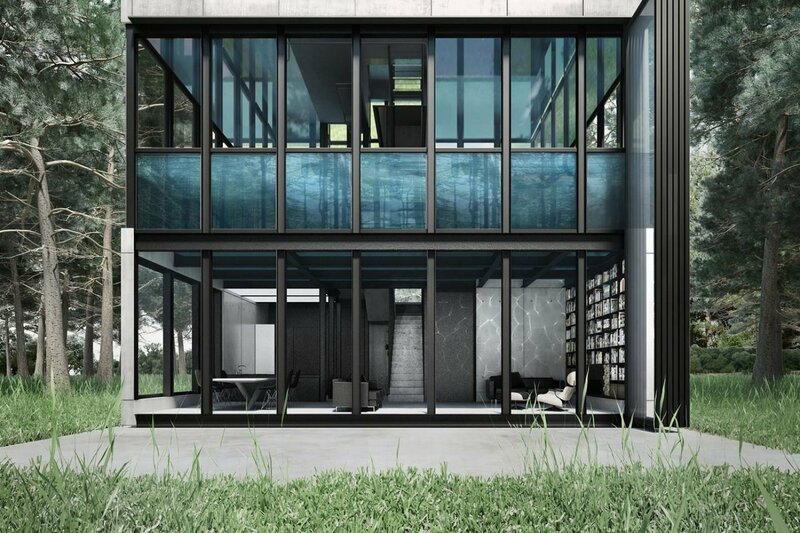 The interior layout includes a living room, dining room and kitchen on the first floor. 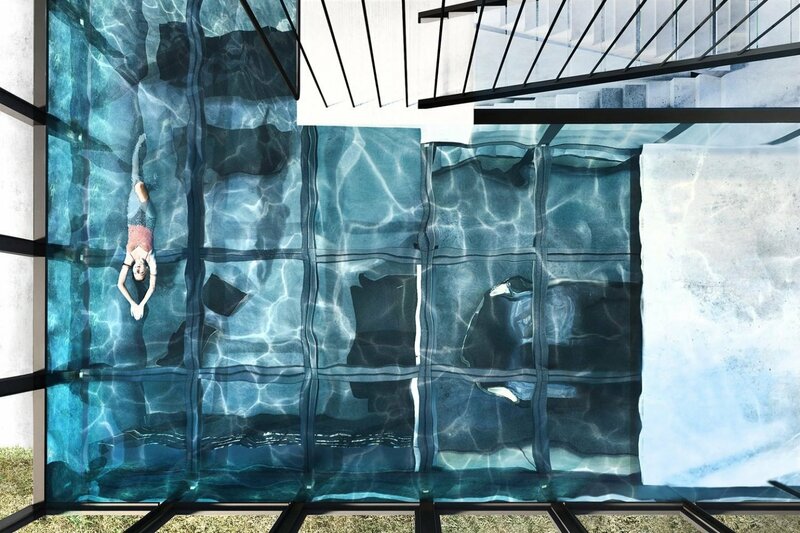 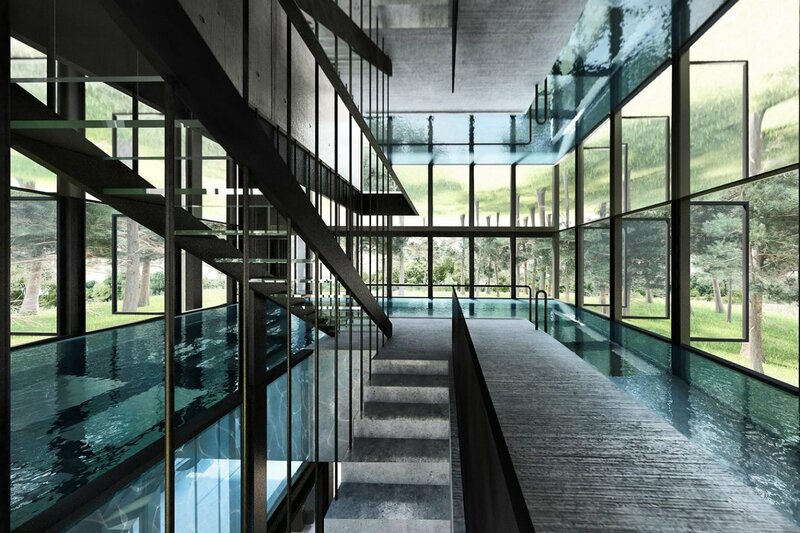 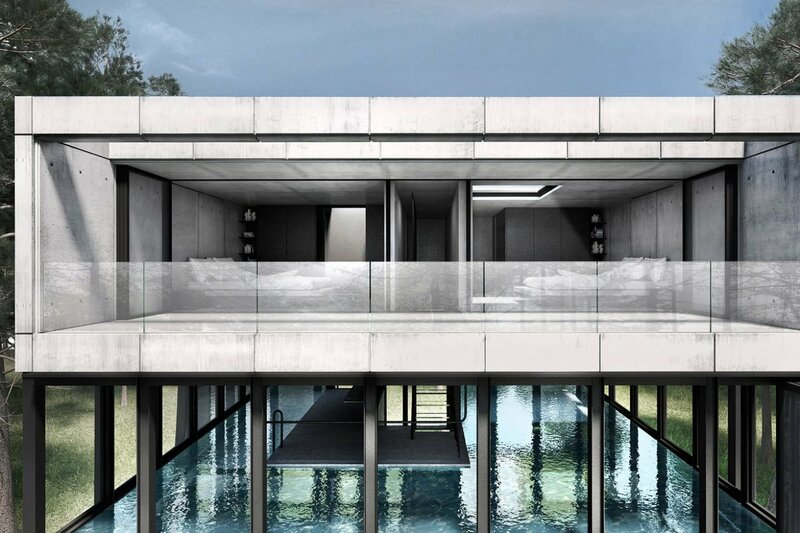 Moving upstairs, the entire space of the second floor is used for the glass-encased swimming pool. 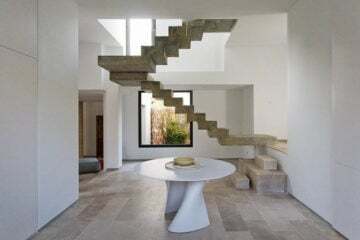 More stairs lead to sleeping quarters, which are split between two bedrooms with an ensuite bathroom. 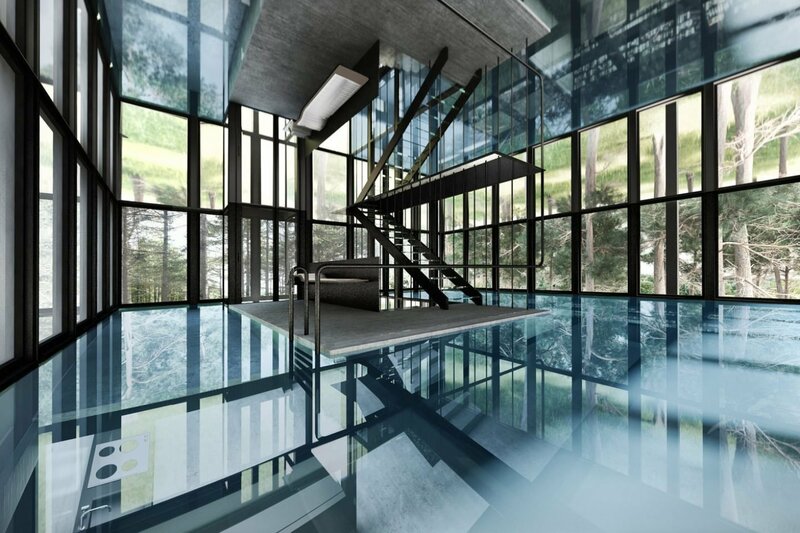 The master bedroom has a glazed floor beneath the bed, from which one can view the swimming pool below.